 At Camelot Introductions we offer services that match clients from Manitoba, Saskatchewan, Northern Ontario and some bordering US states. Our Prestige Match service is open to qualifying North Americans. It all starts with a phone call to our office at 1 (204) 888-1529. Initially, we discuss our program with you by telephone. It is essential that we feel we can meet the goals of the clients. We accomplish this by discussing your expectations, and together, make a decision determining if we can meet your relationship goals. We will then provide you with a list of questions that we ask you to make notes about prior to your interview at our office. This allows you time to give some thought to a number of areas that are of great importance. We will ask you to refer to this list of answers at the interview. Upon arrival at our office, one of our staff will greet you personally. We understand that people are very often quite nervous walking through the door and assure you that most feel very much at ease within minutes of meeting Lianne. You will have the opportunity to peruse our “Brag Book” which contains thank you letters, and several newspaper articles highlighting our successes. Your profile will be compiled during the office visit. We will ask you many questions that allows us to determine who is best suited for you. You will refer to your “homework” list of answers during the interview. Since the safety of all our clients is paramount, we also require that you complete and sign an authorization for a criminal record search while at your office interview. Lianne also conducts in person interviews in Saskatoon monthly. Call 1-(204)-888-1529 to reserve your appointment time. When a suitable match has been found, we will contact you on a Monday or Tuesday evening. We will read the profile to you, and read yours to the other person, always respecting anonymity. If you both agree to talk, telephone numbers are exchanged and we ask that you talk within 24 hours. After speaking to each other for as long as you wish (hours, days) you determine whether or not to meet in person. Once you meet in person face-to-face, it is considered an introduction. Your membership entitles you to speak to as many people as need be on the telephone, and to meet up to five people in face-to-face introductions. Generally, our clients are happily matched within the first three face to face introductions. Following your matching process, and your decision to meet or not, you call our 24-hour number. You will report to us if you have met face-to-face or not, and if you intend to see this person again. If you are still looking for your match, you request that we continue the search after notifying the other party that you are moving on. As a member, you will be required to contact our match line every three weeks until you are happily matched. If we do not hear from you for a sixth month period your membership will be terminated. The cost of our matchmaking program in Winnipeg is $600.00 plus a criminal record check, and taxes = $674.94 (subject to change). Outside Winnipeg city limits and Saskatchewan is $850.00 including a criminal record check, and taxes = $892.50 (subject to change). We accept eTransfer, Cash, Debit, Visa, and MasterCard. Men and women pay the same membership fee, ensuring equal levels of sincerity. Prestige Match is a division of Camelot Introductions. The service is designed for the up-scale professional who desires a formal recruiting process to find their mate. Lianne is retained for up to a twelve month period. Advertisements will be placed specifically for the client outlining who they are looking for. Camelot staff will conduct screening interviews, screening potential partners for each Prestige Match client. Potentials will be presented to the individual. We will continue the search process for up to a one year period in order to find the right match for our client. This service is open to qualifying North American residents. Lianne will personally pre-screen and interview each candidate and their potential matches. The total cost of the Prestige Match service is $10,000 + GST. We will use up to $5,000 to target market our Prestige Match clients. Lianne limits the number of Prestige Match clients she works with to ensure our Prestige clients receive the level of coaching and attention required.